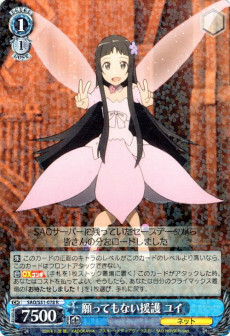 【C】 If the Level of the Character facing this card is higher than this card's Level, this card cannot Front Attack. 【A】【CXCOMBO】［Place 1 card from Hand into Stock］ When this card attacks, you may pay the cost. If you did, choose 1 「お待たせしました！」 from your Climax Slot, return it to Hand.